When it comes to growing organic marijuana, take pride in the learning process, and all your hard work. Your body will thank you, and so will the Earth. The growing concerns of choosing organic produce are valid. Plants that are modified to resist pesticides, then drenched in them, because it is less time consuming and more cost effective than detailed care. The results are increased pollution, decreased nutritional value, and harms to the human from consuming traces of these chemicals. If we are concerned about our plants, environment, and bodies when it comes to our salad, we should be just as concerned about our herb. Smoking plant material with these chemicals on them can be as bad or worse than ingesting them. Marijuana has flourished for over 10,000 years alongside man, with or without his help. 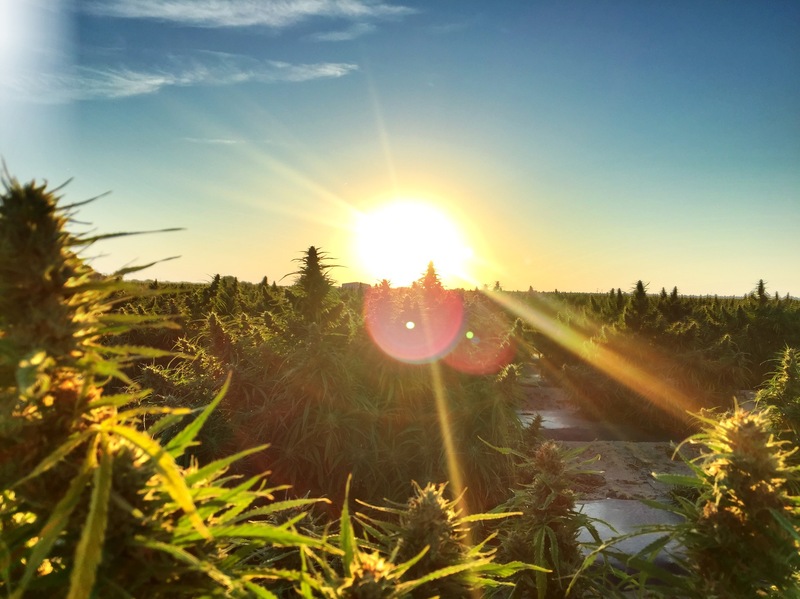 Fields of it used to grow under the bright summer sun in the Emerald Triangle in California before Nixon declared the War On Drugs, and growers were forced to grow indoors. That change took its toll on plant quality and production. This is when growers began to try and supplement plants with everything they could to maximize yields, and protect their plants from the harms of pests and mold. Before this, the idea of “organic” was virtually non-existent, because it was a given. One man helped changed that for marijuana. Jeff Lowenfels, a prolific Alaskan gardener, lawyer, and Harvard graduate ostensibly gave birth to the concept of growing marijuana “organically”. 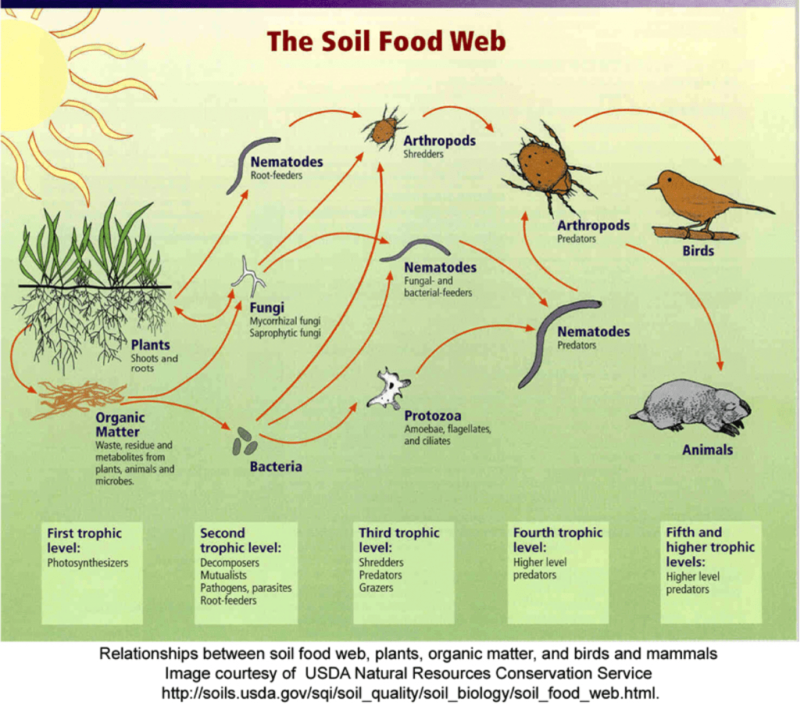 His concept centered around the natural cycle of plants and micro-organisms that make up the soil food web. By letting fallen leaves stay in fall, lawns were fertilized naturally, and grew lush and green in the spring. Without Man’s unnatural sense of “decluttering” the growing environment, the cycle thrived, and so did the plants who lived in it. Soon, neighbors and associates began to follow his “no-rake” lead, and before long, organically grown produce began to outshine commercial equivalents, and buying organic became en vogue. The secret to the process is the bottom of the food chain, micro-organisms. These little gardeners break down wastes to produce nutrients for other life forms, which sustain others, which in turn provide nutrients for plants. The process not only feeds plants but removes the wastes of plants from the soil, preventing toxic shock. In most indoor grows, the soil is replaced after every grow to shorten cycle time, fitting in several grows a year instead of one. The indoor environment does not have a natural food web. Bugs are eradicated, molds and fungi are suppressed with cleaning agents. The only members of the environment are the plants, the people, and maybe pets, which don’t do anything. In hydroponic grows, water is laden with nutrients like a buffet, and after use, it is discarded. When it is dumped into drains, it carries all the salts and heavy metals of the fertilizers and plant wastes directly into the water system, bypassing natural breakdown. The effect of this on the environment is chaos. These byproducts miss the vital breakdown stage of micro-organisms in soil and begin to affect creatures usually further removed from them on the food chain. If you want to further understand how a chemical used to wipe out small lifeforms can have a harmful effect on you, a larger life form, take a closer look at Bifenthrin. One of the readily available chemicals used to treat grow rooms between cycles in order to control spider mites, this stuff can linger on lights, tools, and in ventilation systems, contaminating not only the plants, but the air in the area of the grow, which could be a family household. How can I grow organically indoors? Growing organically indoors doesn’t have to be difficult, in fact, it is easy. Start with the soil. Growing organic means using natural, compost-rich soil. It will grow fuller, more potent bud than regular soil. Mix up a pile of this in your composting area for the perfect compost base. Making compost can be done year round, as the breakdown of the plant matter releases heat. Ideally, you want to make lots of compost year-round, whether in piles in the back yard, or special bins you can buy from a local home & garden store (if you need to keep a small yard tidy, these bins are the way to go). Feel free to use the excess in your yard, and no one will question it. 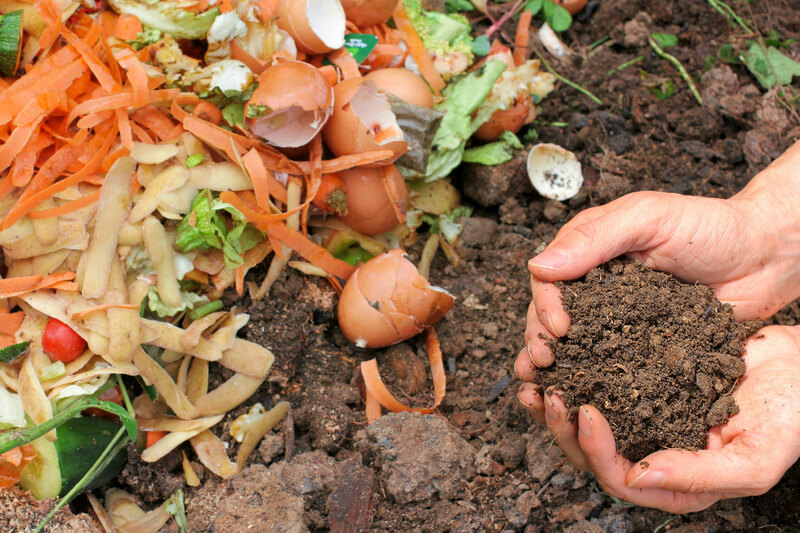 Composting takes about 2 – 5 months. Some special bins can even turn your soil for you, speeding up the process. Fertilizer is basically enriched nutrients. To feed your plants and enrich the soil, don’t use any nutrients that have been treated or manufactured in a laboratory. Synthesized nutrients have a different effect on plants, and can be absorbed too quickly, or not at all. Instead, turn some of these natural fertilizers into your compost mix to create a Super Ganja Grow Meal. 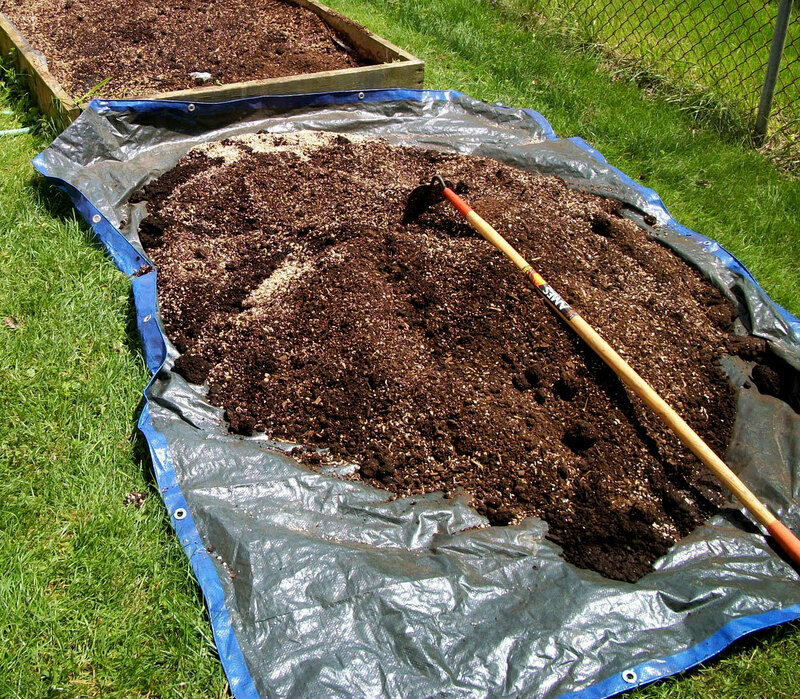 First, spread a layer of your composted base soil with coco fiber and mycorrhizae on a large plastic tarpaulin or in a plastic kiddie pool. Add another layer of base soil on top of the powdered nutrients. Next, add 1 kg of bat guano and another layer of base soil followed by 1 kg thick layers of blood meal and steamed bone meal each with layers of base soil. Mix everything together with a shovel then put in large plastic garbage bins with 10 liters of water soaked into each bin. Leave in a sunny spot for 30 days. This will allow helpful microorganisms and fungi to enrich the soil. When you plant your seedlings or transfer your plants to larger containers, just put a ratio of 1 part Super Ganja Grow Meal in the bottom of the pot, and cover with 2 parts regular compost soil on top. Great for supplemental feedings, You can make compost tea as a booster instead of liquid nutrients bought from a chemical company. Use pure, filtered water in a five-gallon bucket. Oxygenate it with a bubbler to enrich the process further, or to clean unfiltered water. Fill a cotton bag or cheesecloth with compost, guano and a couple tablespoons of molasses. Steep in the water for a couple days. Once it’s done brewing, use the tea on your plants’ leaves and roots. Growing organic means eliminating any chemical pesticides. The microorganisms in your compost help by acting as natural deterrents, but if you need more help, a natural way to deter pests on plants can be made with a combination of pressed garlic, cloves, anise, lavender oils, hot pepper juices, and water. Simply spray in a mister on plants to kill and deter pests. Spinosad is an organic pesticide that uses a fermented bacteria which attacks the central nervous system of caterpillars and other pests if you are desperate. Growing organically is a natural process. As such, it takes time to get it down to a natural rhythm, especially for beginning growers, but it can be done. Start by substituting pesticides and adding compost teas in your current grows. Buy ready-made compost from your local garden store as you begin composting at home. As you switch over, keep a grow journal and copies of articles that you can refer back to. Learn from other growers, and build a support network. Master the cannabis plant: its life cycle, needs, and troubleshooting problems. In the end, you will have more potent, more beneficial buds, that are pure and safe. Take pride in the learning process and all your hard work. Your body will thank you, and so will the Earth. Do you grow organically? Do you have tips and tricks to share with others? Lessons learned? Let us know! Share with us and your community on social media or in the comments section below.